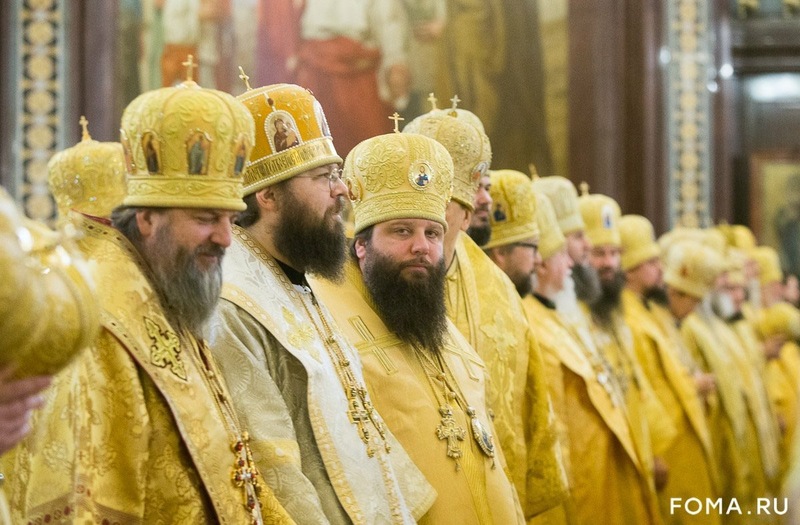 On Friday, February 1, the 10th anniversary of the enthronement of His Holiness Kyrill, Patriarch of Moscow & All Russia, the Primate of the Russian Orthodox Church was joined by the Primates and representatives of the Local Orthodox Churches, autonomous and self-governing Churches under the Moscow Patriarchate, members of the Holy Synod, heads of metropolias and dozens of hierarchs and clergy of the Russian Orthodox Church in celebrating Divine Liturgy in Christ the Savior Cathedral in Moscow. Liturgy was led by His Beatitude John X, Patriarch of Antioch & All the East, His Holiness, Patriarch Kyrill, His Holiness Irinej, Patriarch of Serbia, His Beatitude Rastislav, Metropolitan of the Czech Lands & Slovakia, and His Beatitude Tikhon, Metropolitan of All America & Canada. Singing at Divine Liturgy was the Patriarchal Choir of Christ the Savior Cathedral (conductor I.B. Tolkachev) and the brotherhood choir of the Holy Trinity-St. Sergius Lavra (conductor Archimandrite Gleb (Kozhevnikov)). 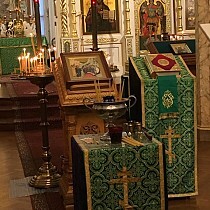 Exclamations and prayers at the Divine Liturgy were proclaimed in Church Slavonic, Arabic, and English. Upon conclusion of the Liturgy, Patriarch John X of Antioch & All the East congratulated Patriarch Kyrill with the decennial of his enthronement to the Patriarchal throne. The Primate of the Antiochian Orthodox Church presented His Holiness a Patriarchal staff, fashioned in Damascus. 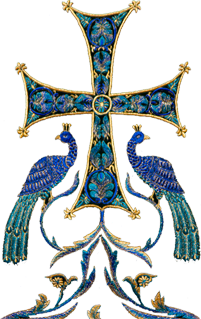 His Beatitude Onufry, Metropolitan of Kiev & All Ukraine, read aloud a congratulatory address from the members of the Holy Synod of the Russian Orthodox Church to His Holiness, Patriarch Kyrill, then presenting the Primate of the Russian Orthodox Church with gifts from the Holy Synod – a processional cross, and a set of two panagias and pectoral cross. Patriarch Kyrill then addressed all those present at the service with a Primatial sermon. Materials from the official website of the Patriarch of Moscow & All Russia. Translation by the Media Office of the Eastern American Diocese.